New Rochelle, NY, April 15, 2019–With an estimated 25% of people worldwide affected by nonalcoholic fatty liver disease (NAFLD), there is a large unmet need for accurate, noninvasive measures to enhance early diagnosis and screening of hepatic fibrosis. A new, comprehensive review of the latest research on novel biomarkers, biomarker panels, and advanced technology to detect fibrosis and predict the risk of NAFLD-related complications and mortality is published in OMICS: A Journal of Integrative Biology, the peer-reviewed interdisciplinary journal published by Mary Ann Liebert, Inc., publishers. 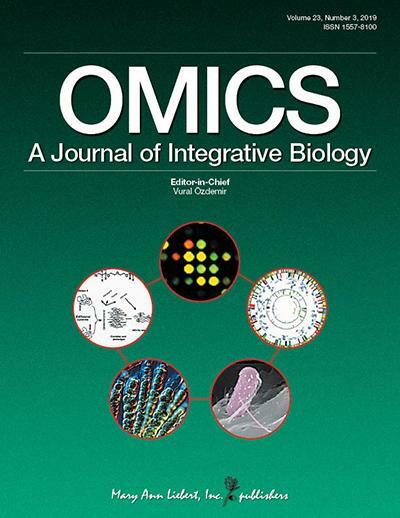 Click here to read the full-text article free on the OMICS: A Journal of Integrative Biology website until May 15, 2019. The article entitled “Novel Serum Biomarkers for Noninvasive Diagnosis and Screening of Nonalcoholic Fatty Liver Disease-Related Hepatic Fibrosis” reviews recent advances in new blood biomarkers such as WFA+-M2BP and type IV collagen 7S. The article also reports on the advantages of combination biomarker panels in development, including algorithms such as NIS4, ELF, Hepascore, FibroMeter, FibroTest, and FIBROSpect. The corresponding author Prof. Biaoyang Lin, PhD, Zhejiang-California International Nanosystems Institute (ZCNI), Zhejiang University (Hangzhou, China), and University of Washington School of Medicine (Seattle), and coauthors, also review novel technologies such as tandem mass spectrometry, which can be used to assess the turnover of proteins involved in liver fibrosis.